a therapy tool that she developed to encourage interaction. As a modern dance student while attending college, Newman-Bluestein was inspired by seeing performances of the Alvin Ailey American Dance Theater three consecutive nights. On the third night, she literally dreamt of pursuing a dance-related career. She shared her dream with a co-worker, who suggested she consider becoming a dance therapist. Now, Newman-Bluestein is a board certified dance/movement therapist, mental health counselor and educator. She has worked for over 35 years with people of all ages and abilities in mental health and medical rehabilitation settings. Since 1992, she has been a senior lecturer and teaches the clinical supervision class to second-year dance therapy interns at Lesley University in Cambridge. Additionally, she provides trainings and workshops internationally. As owner of Dance for Connection, Newman-Bluestein leads dance/movement therapy groups with older adults and people with dementia throughout eastern Massachusetts. Groups typically meet monthly. Of all art forms, she feels that dance allows the greatest feeling of vitality. Therapy is also effective for people who use canes, walkers or wheelchairs by doing seated dancing, Newman-Bluestein noted. A common trait she has found among people with dementia is their name recognition, which prompts positive feedback. Her dance/movement groups typically include props such as balloons, hats and streamers. While similar groups use a parachute, Newman-Bluestein instead invented a stretchy interactive device called the Octaband®. “Through multiple sensory modes they’re getting the message, ‘I’m connected; I’m an individual and I belong to this group,’” she said. As a performer, Newman-Bluestein is one of eight members ranging in age from 26 to 93 of the Back Pocket Dancers. Based in Cambridge, the intergenerational dance company performs throughout eastern Massachusetts. Newman-Bluestein stresses that people with dementia also offer unique contributions. 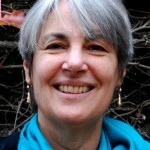 For more information about Donna Newman-Bluestein, visit danceforconnection.com. Next articleWhat are varicose veins and how can they be treated?